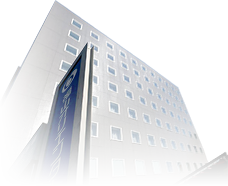 The Fukuyama Oriental Hotel is easy to access –just a two-minute walk from JR Fukuyama Station. It’s located in a lively area close to the Fukuyama city center. Find information to help you get around this area below, from shops and restaurants to popular tourist attractions. A two-minute walk from the North Exit of Fukuyama Station. After exiting from the North exit (Shinkansen exit on the side of Fukuyama-jo Castle), walk towards your right (to the East). It takes only two minutes by foot. You will find a 24-hour convenience store (Fukuyama Station North Exit Store) in front of our hotel. It takes approximately 20 minutes from Fukuyama Higashi Interchange exit. Please proceed to the direction of the inner city of Fukuyama (Fukuyama Station) after exiting from the highway. It takes approximately 25 minutes from Fukuyama Nishi Interchange exit. Please take an airport limousine bus to JR Fukuyama Station. It takes approximately 50 minutes. See the Hiroshima Airport website for the information on bus stops and timetables. located only a two-minute walking distance from the JR Fukuyama Station. Fukuyama-jo Castle is the symbol of Fukuyama City, also known as “Rose City.” A history museum and a relaxing park are also located near the castle.